Please visit our new website for all current updates on Dreams of the Last Butterflies! New Butterfly Queen just revealed! Introducing Dina Nur starring in the film as the Hahnel’s Amazonian Swallowtail! Which Queen will be *your* favorite? WIN A ‘DREAMS OF THE LAST BUTTERFLIES’ T-SHIRT!! CONTEST HAPPENING RIGHT NOW! WIN A ‘DREAMS OF THE LAST BUTTERFLIES’ T-SHIRT!! Just guess the right butterfly and you could win one of the awesome new sustainable ‘eco-shirts’ from the movie! It’s easy, you can enter to win on the official facebook page! 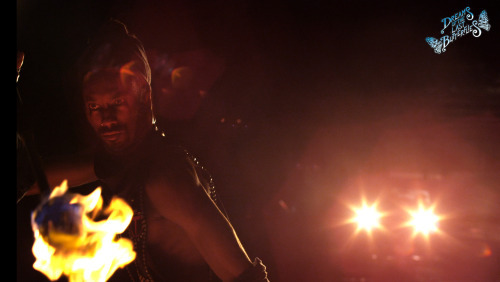 New stills from Dreams of the Last Butterflies! 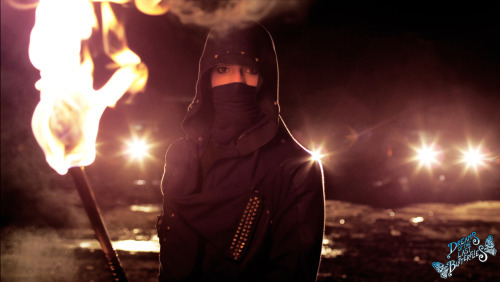 New promo image for Dreams of the Last Butterflies! Evgeniya Radilova as the Acraea Swordtail Queen. Photo by Luz Maxine Nienow Castelazo. WE wanted to say THANK YOU once again to all of the incredible, fantastic people that put in donations and their time to help spread the Butterflies word. Yesterday was such a wild ride!! We are nearly overwhelmed with gratitude and amazement today. This movie is as much yours as it is ours now! Thank you, thank you, thank you!!! 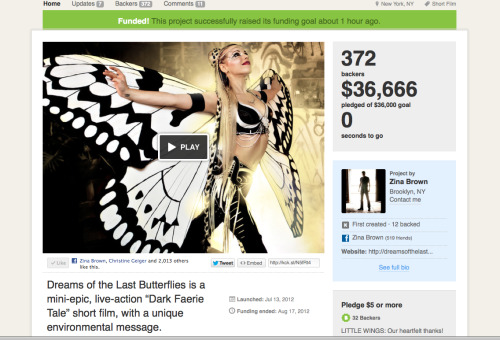 DREAMS OF THE LAST BUTTERFLIES KICKSTARTER CAMPAIGN HAS OFFICIALLY LAUNCHED! The wait is over! Watch the video, check out our awesome prizes – and donate if you believe! THANK YOU!! Please help us spread the link and message across the world! Finally revealed! 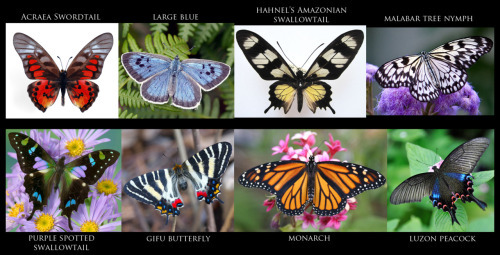 The 8 Butterflies from around the world that will be starring in ‘Dreams of the Last Butterflies’. Each Butterfly will be played by one of our amazing female performers, who will be metamorphosing into Butterfly Queens for the film. 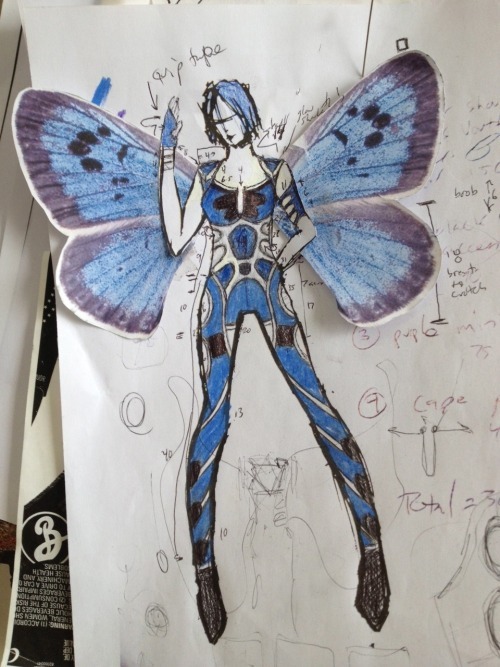 The final design for our Large Blue Butterfly Queen’s outfit, custom made by Wheylan Dean-Ford. 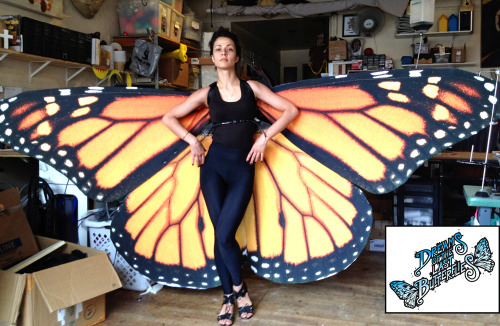 This Butterfly Queen will be played by the amazing hoops/flow arts/fire performer Madeleine Belle. This site, and all its contents, are Copyright © 2019 by Thousand Names Productions. All Rights Reserved. This site, and all its contents, are Copyright © 2012 by Thousand Names Productions. All Rights Reserved.